Tater tots are a guilty pleasure of ours. We know there are better ways to serve potatoes, but there’s something very comforting about their cylindrical shape and fried exterior. 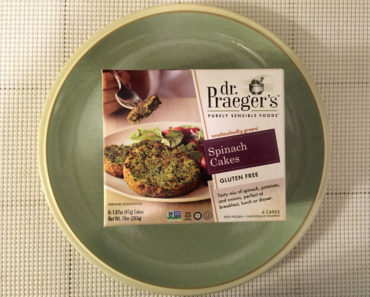 Now, with the Kale Puffs, Dr. Praeger’s has given us a healthier way to enjoy this finger food. 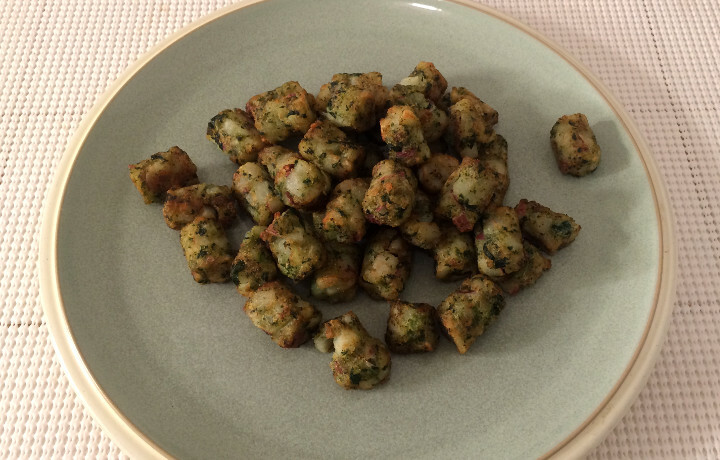 Do these healthy, gluten-free Kale Puffs compare to unhealthy, deep-fried tater tots? 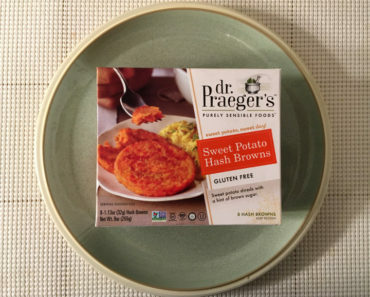 Surprisingly, Dr. Praeger’s comes pretty close to nailing the taste of authentic tots. Preparing these puffs is a little bit of a hassle. You can’t just throw them in the oven and forget about them until they’re ready to serve. Instead, you’re supposed to rotate them every five minutes. That said, we only bothered to rotate the puffs once and they still came out crispy and fully cooked. Beyond that, you should be wary if you’re going to be splitting your puffs with a bunch of people. 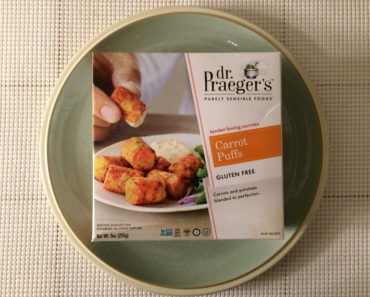 The image above is an entire box of puffs; it’s not enough to fill a dinner plate. 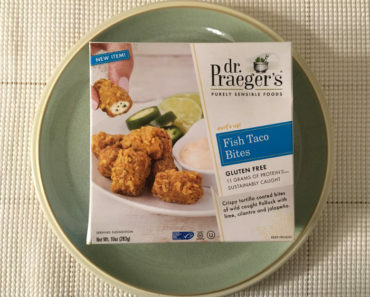 The nutrition label says that there are three servings in a box, which seems right to us if you consider these a side dish to a greater meal. Serving size aside, the puffs are quite tasty. They aren’t a perfect replica of tater tots, but they come pretty close. You can taste the kale here, but it isn’t overwhelming. 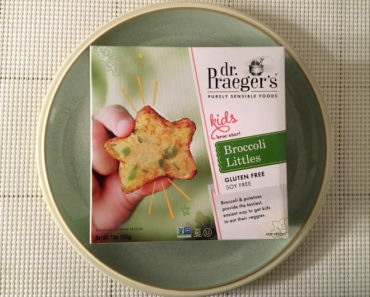 If you’re planning on serving these puffs to young, picky eaters, they should be satisfied. 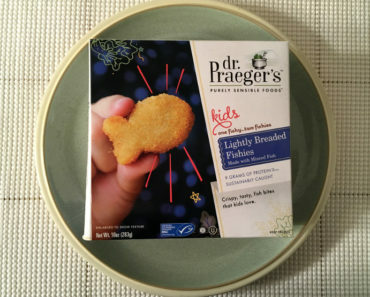 We recommend pairing the puffs with some sort of dipping sauce, as they’re a little dry and bland when eaten alone. While we ate the puffs with ketchup, they’d also pair nicely with ranch dressing. 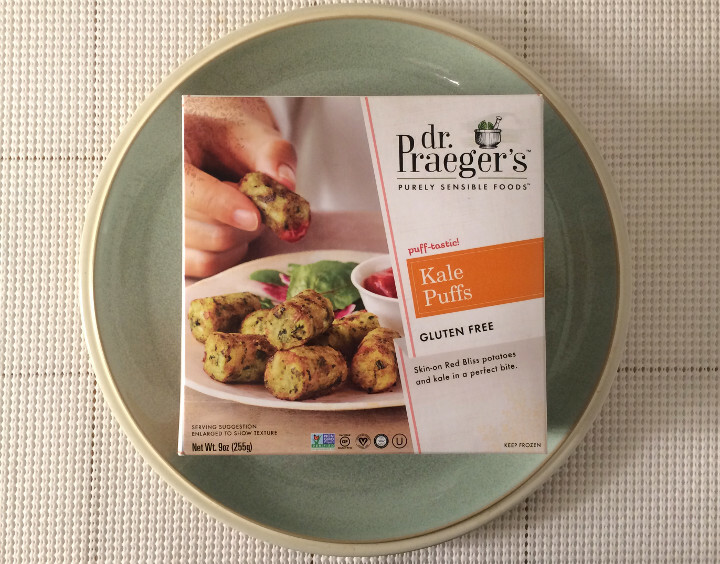 If you’re craving tater tots and are searching for healthier alternatives, Praeger’s Kale Puffs should fit the bill nicely. Just don’t expect to feed a hungry family with one box of puffs. If you’re not put off by the small size of this box, you’ll find a lot to like here. To learn more about the nutrition or ingredients in these kale puffs, check out our package scan below.